Technology has fundamentally changed the way governments and their citizens interact. Governments are realizing that the future of eDemocracy is more than offering citizens a means to transact or obtain public service information; it is about listening to citizens and becoming part of the conversation. This is something the Town of Markham understands. 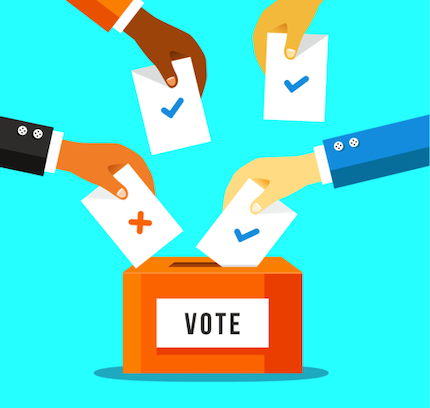 Through the use of Internet voting and the implementation of multiple interactive online initiatives, Markham has become a leader in eDemocracy. In 2003, the municipality embarked on a plan to overhaul its use of technology to make its departments more efficient and to make more of its services available online. With Delvinia’s support, Markham became the first major Canadian municipality to introduce Internet voting. Since then, there have been three online surveys to gather data on the attitudes and behaviours of Markham residents, the findings of which are outlined in three reports chronicling voter feedback and preferences collected following the 2003, 2006 and 2010 municipal elections. Due to the logistical issues, Internet voting was only available during the advanced polls, which is still the case today. In 2003 Markham experienced a 300 percent increase in the advanced polling opportunity and a 99 percent approval of the concept from the people that used it. The municipality witnessed a further increase in 2006, when the overall voter turnout reached almost 40 percent. The municipality realized that if the digital experience improved overall voter participation, then engaging residents in government using digital technologies would increase participation in government processes. It launched “Click with Markham” in November 2007. The multimedia program was designed to gather input during the municipality’s strategic planning process. The online experience included a website and an interactive survey with questions on issues like growth management, transit and transportation, the environment, public safety, diversity and municipal services. More than 7,000 people visited clickwithmarkham.ca and more than 4,300 residents filled out the online survey during the three-week campaign. Growth management was one of the strategic priorities that came out of the survey. And that led to the development of the Town’s Greenprint Sustainability Plan. To engage local youth in the creation of that plan, Markham had an online writing contest developed for students. The resulting “Quest for the Best Markham” contest, which ran in late 2008, gave students the opportunity to share their ideas on the future of Markham. The contest called for short, written submissions about how to achieve a greener community and drew more than 3,000 submissions from 24 Markham schools. In an effort to raise awareness of the 2010 municipal election in Markham and to increase citizen engagement in the municipality, the town chose to incorporate social media as one component of its larger “Your Vote Counts” campaign. A social media campaign, dubbed DIY Markham, was developed. Launched in September 2010 to inform local residents about the upcoming municipal election, the campaign centred on the use of humorous online videos distributed through Facebook, Twitter and YouTube to engage voters and increase awareness about the delivery of municipal services and the importance of voting at the local level. Overall, the Facebook page received more than 3,300 views. The project also laid the groundwork for greater potential outreach in the future. The municipality not only wants more residents to participate in municipal elections, it wants more residents to participate in all elements of local government. The municipality has a growing number of young tech-savvy residents. To hear what they are saying, it has to go where they are. Connecting with residents is the underlying goal behind Markham’s innovative use of digital technologies. It’s not about platforms. It’s not about networks. It’s about finding ways to use technology so people can interact. Adam Froman is the founder and CEO of Delvinia and AskingCanadians (afroman@delvinia.com). Frank Scarpitti was elected Mayor of Markham in 2006 and re-elected in 2010 for a further four-year term (fscarpitti@markham.ca). The Delvinia report on Internet voting in the Town of Markham is available at www.delvinia.com/dig.